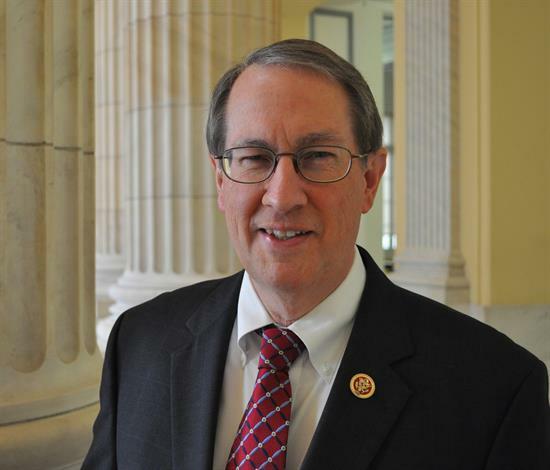 House Judiciary Committee Chairman Robert “Bob” Goodlatte, R-Va., has been a longtime advocate for freedom of speech on college campuses. Now, in a sit-down interview, Goodlatte tells FIRE about the importance of a bipartisan quest to ensure the future of free expression in higher education. Since 1993, House Judiciary Committee Chairman Bob Goodlatte has represented Virginia’s Sixth Congressional district. Since 2013, the Roanoke, Virginia native has been chairman of the House Judiciary Committee, which considers legislation related to judicial proceedings and provides oversight on constitutional matters. Last June, the House Judiciary’s Subcommittee on the Constitution and Civil Justice held a hearing on the widespread violations of free speech rights on college campuses and invited FIRE President and CEO Greg Lukianoff to testify. House Judiciary Committee Chairman Robert “Bob” Goodlatte, R-Va.
As a follow-up to the hearing, Chairman Goodlatte sent a letter last August to public colleges and universities that received FIRE’s “red light” rating for speech codes, urging them to bring their policies into line with their First Amendment obligations. By February of this year, a full six months after Goodlatte sent his original letter, 33 of the 161 colleges targeted had yet to respond. Determined to hold these schools accountable, Chairman Goodlatte sent each of them a second letter, which prompted institutions like the University of New Hampshire and Alabama State University to contact FIRE and work with us to reform their speech codes. Chairman Goodlatte told FIRE it was his own education that inspired him to become a defender of free speech on campus. “It’s something I have always been interested in [and] supportive of,” Goodlatte said, adding that he was involved in debate societies as an undergrad and law student. Goodlatte pointed to the late Supreme Court Justice Antonin Scalia’s views on freedom of speech to explain the importance of free speech rights in higher education. As an elected official, Goodlatte said free speech is a part of everyday life: Members of Congress exchange ideas with people of all different backgrounds, some they agree with and some they don’t. The good news is that Goodlatte said universities’ response to the letters has been overwhelmingly positive, which was not something he necessarily expected. Goodlatte’s advocacy is as timely as it is imperative. Recent surveys show Millennials are hesitant about free speech, and Goodlatte says that sentiment demonstrates why his anti-speech-code efforts are so important. FIRE applauds Chairman Goodlatte for his hard work protecting free speech both on and off campus. FIRE is always open to working with public officials to restore and protect free speech on college campuses.